Make the pumpkin puree by boiling half of a small butternut pumpkin. I think other varieties will work too. Add as little water as possible but be careful to not let it run dry. When very soft, cool slightly before adding the cooked pumpkin to a blender. You can also use a stick blender and puree it straight in the pot. By sure it is smooth. Add a little water if too thick. Should be like baby food, maybe slightly thicker. 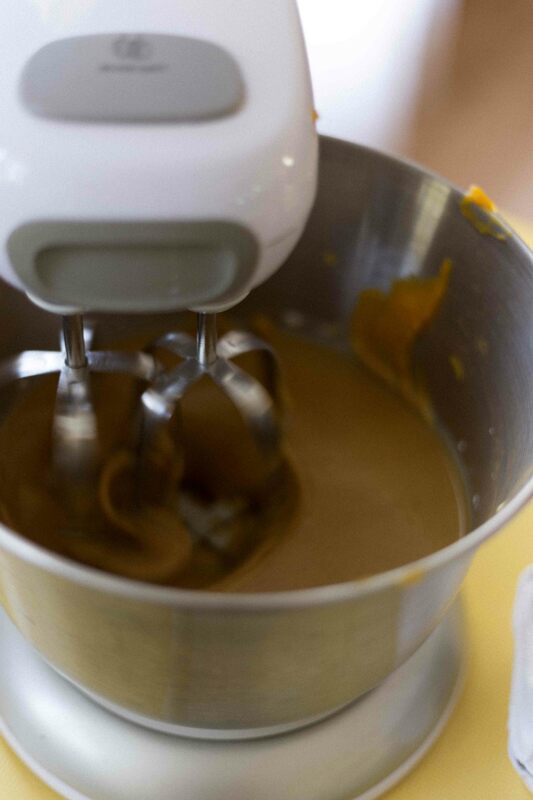 Using electrics beaters, mix the sugar and spices together. 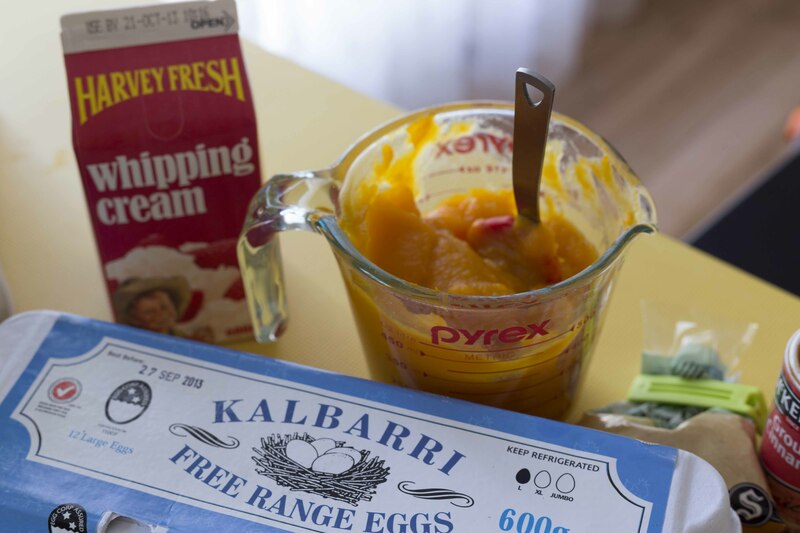 Add the eggs, puree and cream. 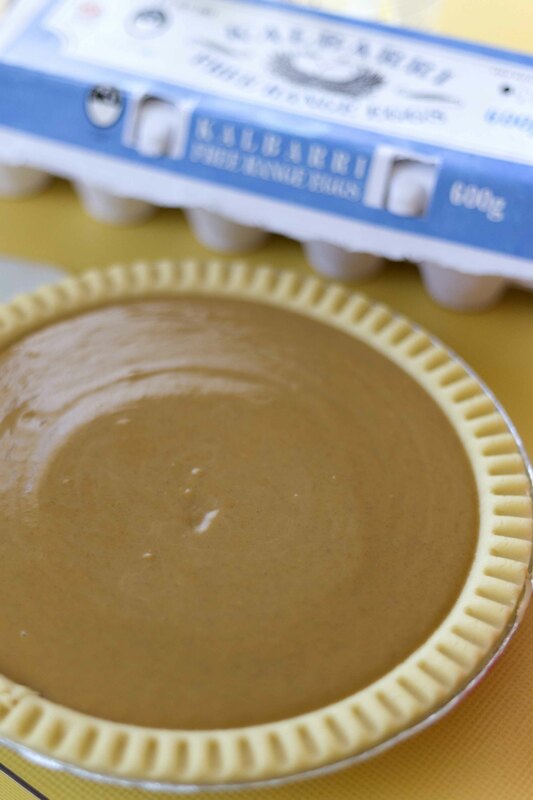 Pour mixture into an unbaked pie shell. I cheated this time and bought one from the supermarket. My pastry is hit and miss. Next time though. Bake at 200C for 15 minutes then reduce heat to 180C for another 45 minutes or until a skewer or knife comes out clean from the centre. Test after 30 minutes. Mine was ready then. Straight from the oven. Cool for at least 30 minutes before cutting. Best served at room temperature or cold. 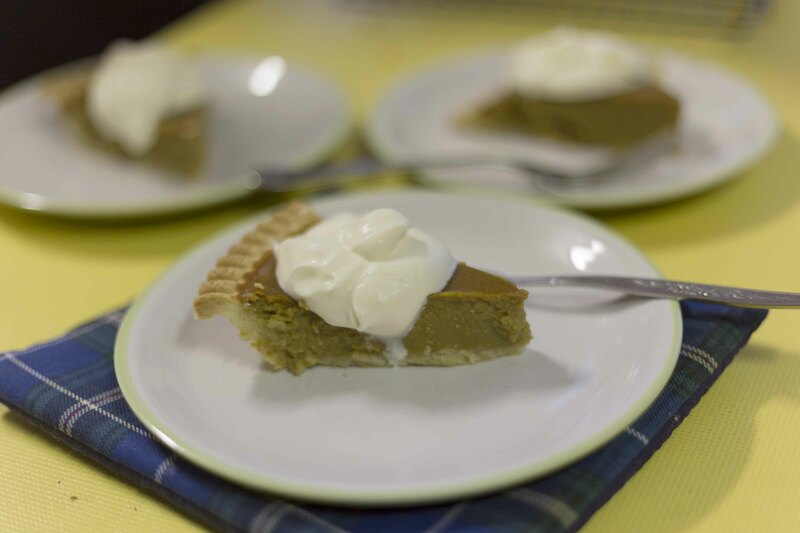 This is a very popular dish in North America and is very much associated with Thanksgiving and Autumn. I’d love to go back to Canada for a proper Thanksgiving Day dinner someday! 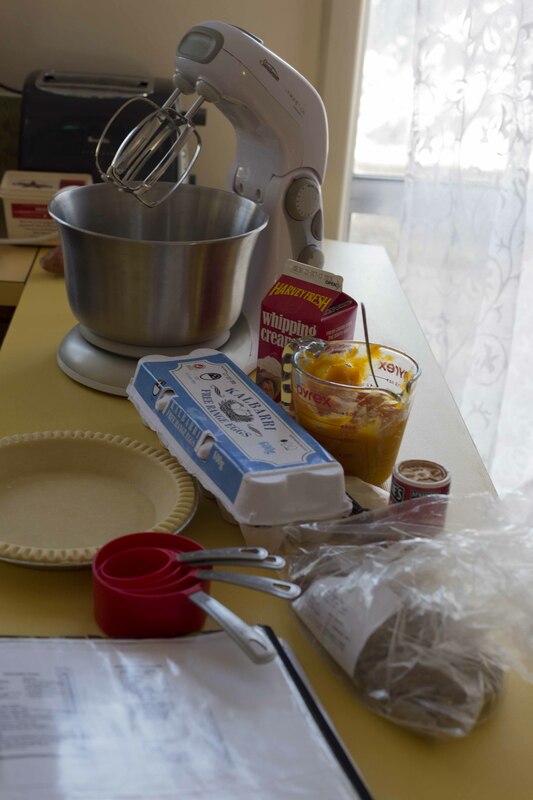 Categories: Food, Wellbeing | Tags: Canada, Canadian expat, Canadian Thanksgiving, easy pumpkin pie recipe, homesick Canadian, pumpkin pie, Pumpkins, rapadura sugar, Thanksgiving | Permalink. Happy Thanksgiving from Canada! We enjoyed a traditional feast with my in-laws in beautiful Bouctouche, New Brunswick, Canada on the Northumberland Strait on Saturday. We had roast turkey, mashed potatoes; local carrots, turnip, tomatoes, and cucumbers; gravy, and pumpkin cheesecake for dessert. I also made a crustless pumpkin pie for home (I am Celiac). It turned out great! Today is the holiday so we are cooking our own dinner at home with baked ham, home-made pickled beets, mashed red potatoes, roasted local carrots, and roasted sweet potatoes. For dessert, two layer pumpkin cheesecake (bottom layer is vanilla cheesecake, top layer is pumpkin), again, gluten-free so GF cookie base. Yum, sounds good!! Crustless pie is a good idea. I do that with lemon meringue sometimes. I put the lemon in ramkin dishes instead of a pie plate!! I’ll try that with pumpkin now! Thanks. It’s Thanksgiving weekend in Canada!! 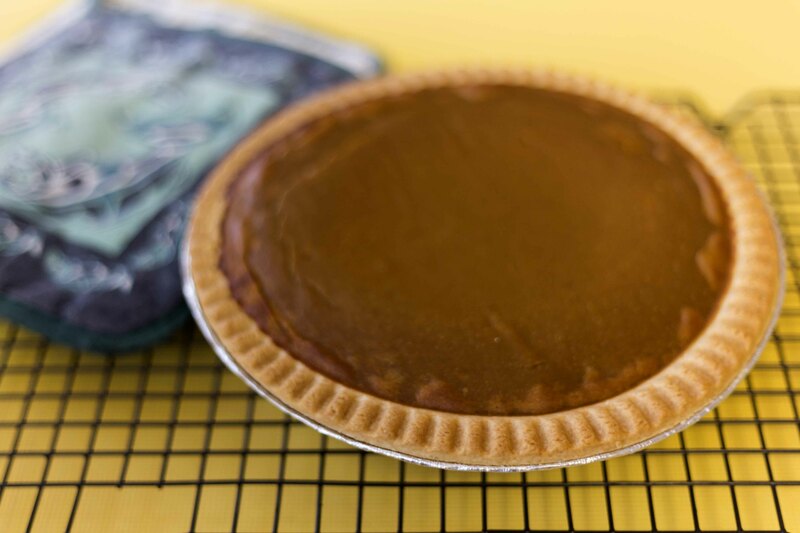 Pumpkin pie is the favourite dessert for any Thanksgiving Day meal. Last year, I made my very first pumpkin pie and this year, my second. This year though, I made my own pastry. There is wheat, sugar and dairy in this recipe but it’s worth the trip down Yummy Lane. I had a piece with whipped cream and enjoyed every crumb, as did my guests.